When asked to redesign the original BT250 – one of the most successful headsets for Jabra in the past – one is faced with a serious design task: how to make a hearing-aid large behind-the-ear headset look slim and more hip? Especially so when there once was a very similar successor to it, the BT2020. The solution was found in adding an extra battery – making it possible to slim down the hook as the two batteries in the headset lie in an angle in relation to the curve around the ear. 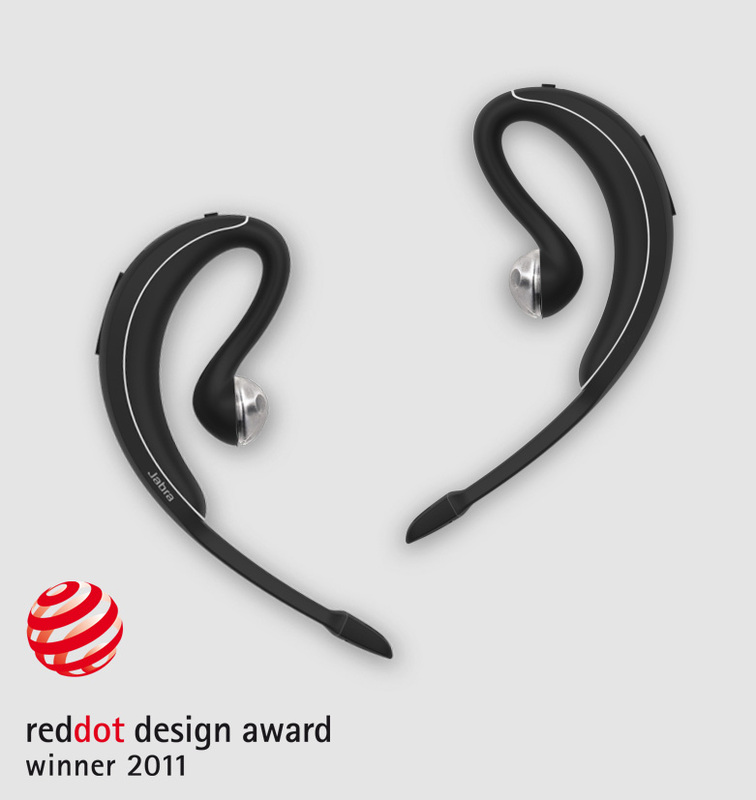 The result is a very slim hook that practically stays concealed behind the ear. The boom arm sticking out at the end is supposed to give a professional look while also signalling to other people that you might be on a call. Whether you adore this style of headsets or stay away from them – this one is a significant step forwards in the evolution of wireless headsets.